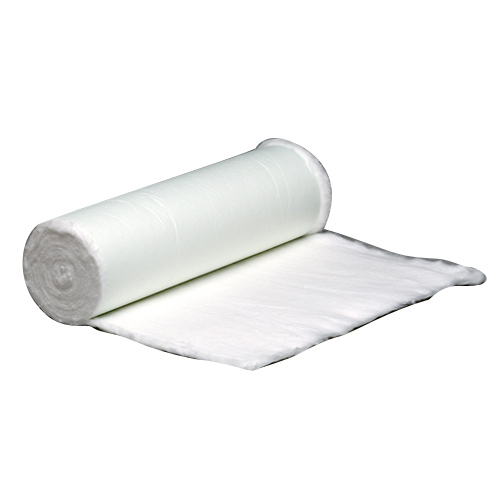 We manufacture Orthocot Cotton Rolls in different. These are offered at competitive prices and are prepared using the best raw material that is procured from reliable and trustworthy vendors. These are widely acknowledged for purity and quality. Founded in the year 1992, we, "Ginni Spectra Private Limited" are one of the renowned enterprises, involved in Manufacturing & Exporting a comprehensive array of Geotextile Fabrics, Filter Media, Poly Wadding Polyfill etc. These products are developed employing the latest techniques of production in adherence to optimum quality standards. Further, all the products offered by us find extensive usage in several industries such as Construction, Cement, Pharmaceuticals, Fertilisers, Thermal Power Plants, and Mines. We have set up our infrastructure with various sophisticated facilities, so as to have smooth business activity. Our latest infrastructure aids us to cater to varied requirements of the customers. Apart from this, we lay foremost significance on a quality aspect and confirm that the quality is not compromised while manufacturing our products. Further, our quality checking unit aids us to examine products on several well-defined parameters. In addition to this, we provide these products within the scheduled time frame to meet the urgent requirements of clients.